Samsung keeps launching amazing phones and devices every year. It has also announced Google Play Music as its default music player app. However, playing and downloading music even on Android devices is becoming difficult for users. There are very fewer quality applications available and most of these offer full services only after monthly or yearly paid subscription. In this article, we have prepared a list of Samsung music apps that you can use for unhindered streaming of music. Snaptube has brought together various platforms such as YouTube, Instagram, Vimeo, DailyMotion, etc. Users can listen to music present on all these platforms. The app is user-friendly and users don’t need any assistance in understanding how to utilize Snaptube. The app offers picture-in-picture mode, which means that the users can move to other apps and easily multi-task when using Snaptube. The app is completely free of cost and there are no hidden charges incurred for music and videos or for using full features of the app. 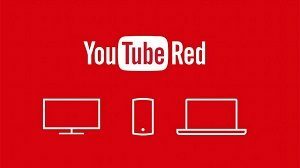 It does not harm Android devices in any way, as Snaptube is security verified by McAfee, CM Security, and Lookout Security. 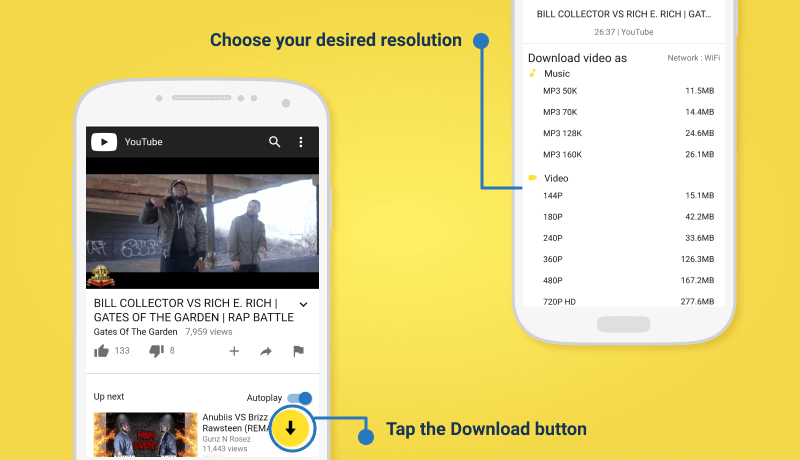 Since Snaptube is the feasible option for users, we have explained its functioning and working in detail. Check out the step below on how to get free music on Samsung galaxy, note and other models of Samsung phones. Firstly, you need to download the best free music app for Samsung. After that, tap on the downloaded file, and launch the app. 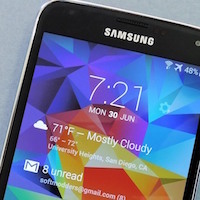 Snaptube will open up on your Samsung device. You can start using the app immediately. Note: You won’t be able to download Snaptube if you have disabled third-party applications on your Android device. To enable it, go to the Settings of your phone and visit Security & Privacy. From here, you will find Install unknown apps or Third-party apps. Enable the option and visit the official website again to download Snaptube. 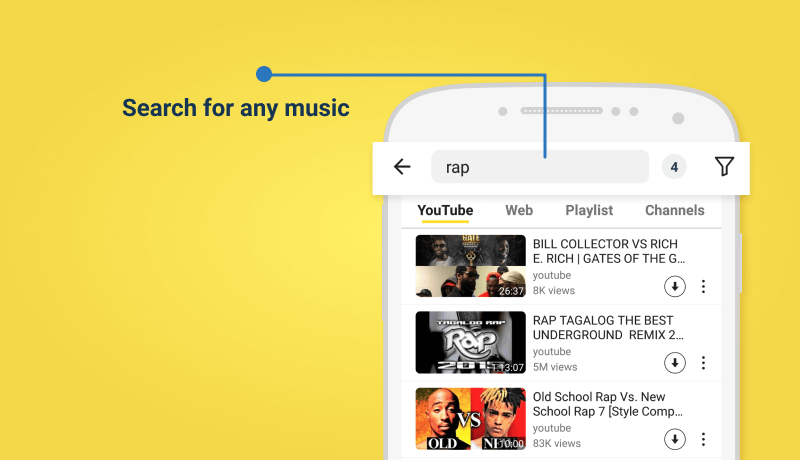 Once you have launched the app on your Samsung device, you can search for music and videos directly from the search bar. If you wish to listen to music or video particular to a platform, you can click on that platform and explore. Note: If you don’t find your desired platform on the Snaptube homepage, click on More, and add the platform from the list. Downloading music from Snaptube is extremely easy. For instance, if you are listening to some music, you just need to tab on the video and open it. 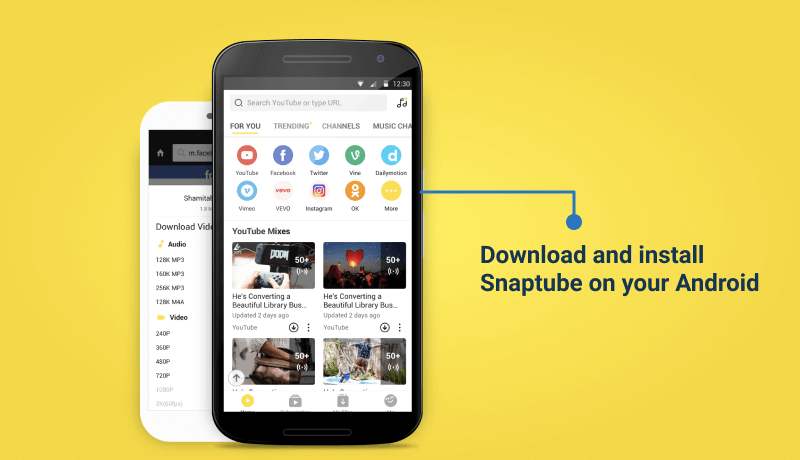 Snaptube will give you a download option automatically. It will appear as a downward arrow on the bottom of your screen. When you tap this arrow, you will be asked for the quality of video or music you want to download. You can either download in the music format for video format. 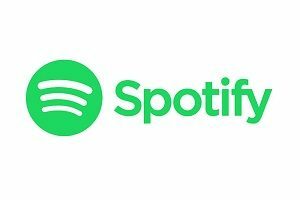 Spotify is famous for its services and hassle-free use. You can listen to all the latest music and explore new albums as well. However, the app only offers a free demo and you may have to pay USD 9.99 per month (USD 4.99 for students) for an ad-free experience and enhanced features. We all know about YouTube. The provider has launched its exclusive music streaming service in 2015 only. 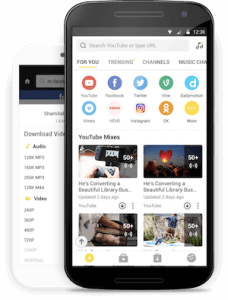 The app has excellent features as it allows users to experience ad-free streaming of YouTube videos and music along with Google Play Music. You can listen to Google Play Music library, create radio stations, and download music offline. However, the app charges USD 10 monthly.